Talking Point: 3DS XL - Why Now? 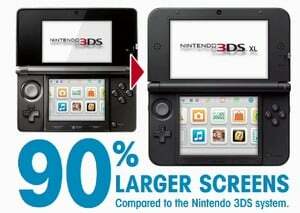 The upcoming release of 3DS XL, the sizeable update to the original model, is hardly a surprise. Nintendo has constantly iterated its handhelds in an effort to attract more consumers and, to put it bluntly, make a lot of money: we can’t even argue that the XL is arriving earlier than expected, as the gap between the original DS and the vastly improved DS Lite was of a similar length. Let’s not forget that the same DS hardware, give or take an adjusted processor to handle the DSi Shop, had four iterations; that was just one system. There are a number of reasons why releasing 3DS XL now makes sense, but equally there are circumstances that make its release questionable. In the same way that we looked at the pros and cons of 3DS XL, let’s have a look at both sides of this argument. 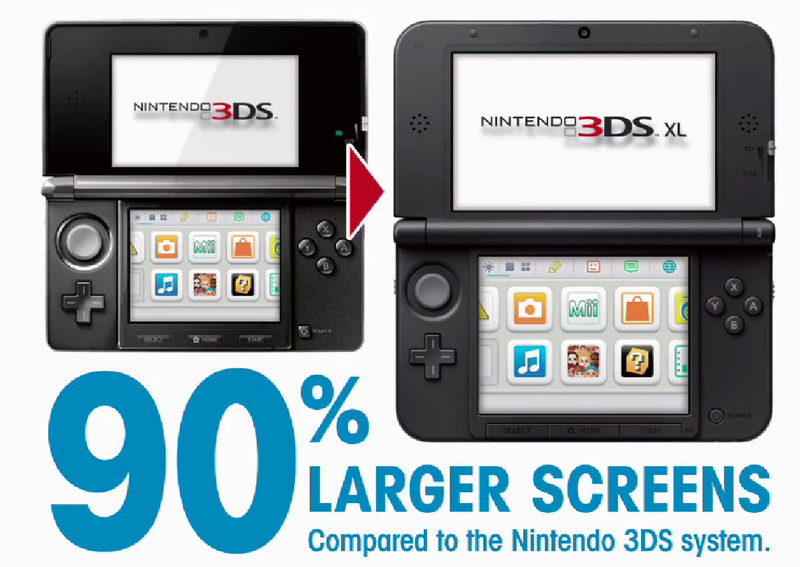 As we’ve suggested elsewhere, Nintendo is targeting the XL at the same audience that bought and loved DSi XL. The accompanying game releases such as New Art Academy in Europe and New Super Mario Bros. 2 will sweeten the deal for those that want a larger, more comfortable viewing experience. Another circumstance of the release timing is that it keeps Nintendo in the headlines over summer months that, typically, suffer a drought of exciting must have gaming experiences. While rival companies await the standard October/November madness that brings many triple-AAA monsters into shops, Nintendo will have been happily selling an updated console and a Mario title in the meantime. Let’s not forget that Wii U will also be fighting for shelf space in the run-up to the holiday season, so it was really a case of now or 2013 for this system. We’d also speculate, based on recent comments from Satoru Iwata, that the XL has the potential to be profitable from day one. A big issue that the original model faced was the high retail cost, followed by a per-unit loss after its drastic price cut. We know that 3DS will become profitable within a matter of months, and Iwata’s latest statement that Nintendo will return to profit by the end of the year suggests that, despite competitive pricing on the XL model, a profit will be made on the trade price. No doubt the company has made the manufacturing processes more efficient, and as the only changes to the system are bigger screens, a larger casing and a few amended button designs, it’s possible that Nintendo has struck deals to buy the parts at a sufficiently lower cost. If the system can attract new consumers — as well as those that feel the need to upgrade — with a steady profit on each sale, then Nintendo could ensure a money-spinner to boost the bank balance ahead of, what it hopes will be, a successful home console launch later in the year. Those are some positive perspectives, but there are arguments to say that, on this occasion, Nintendo should have ignored precedent and held back on a new iteration. Many of these points actually counteract those above, but are equally valid. The big question mark surrounds the current retail market, and whether the XL will struggle to gain momentum. It’s possible that the design and new game releases will attract big sales, but it’s equally possible that Nintendo is pushing the device into an economy without enough demand. Whether you follow the ins-and-outs of global economies closely or not, it’s a basic fact that many people have less money to spend than they did five years ago. What worked for the DS family of consoles won’t necessarily work today, because circumstances have changed. Of course consumers have a cheaper alternative with 3DS, but if that cheaper option leaves 3DS XL boxes sitting on shelves, no amount of profit margin on each unit will rescue the situation: Nintendo is investing in marketing and distribution for these handhelds, so it’s relying on the demand existing for both models. Let’s remember that 3DS is only just selling in numbers that can be considered a qualified success, and it’s also arguable that without big Japanese sales to boost figures, the handheld would still be struggling. Another counter-argument to the positive side is the assertion that the XL is filling a gap as Wii U prepares to launch. On the flip-side, it’s launching just months before a new home console, which will be yet another demand for a big investment from consumers. This has also been done before but, for the reasons outlined above, it’s possible that some will hold off on an XL because they can only afford Wii U, or vice versa. As you may have noticed, a big theme of this feature has been money. Nintendo wants as much of it as possible, and consumers no doubt wish they had more to spend. Pointing to previous examples of successful iterations of DS, GBA and Game Boy both proves and disproves the logic of releasing 3DS XL now. The only change is in size – no second Circle Pad, we know – so the question remains whether this new system will sell enough to be deemed a success. It's just for people who asked for the bigger screens. I think it was a fairly good idea to release now. The DSiXL was released too late and would've been a greater success if it had been released alongside the original DSi. I can't wait to play Kingdom Hearts, Resident Evil, Metal Gear, Kid Icarus, and Ocarina of Time on this thing!!! I'm a college student with no debt, few obligations and a substantial paycheck (or at least I will be in 2 month's time when I return to school). I'm quite literally being paid good money, on top of my very easy and well-paying job, to go to school. The only bill I ever have is a $45/month cell phone charge. And yet, even I can't justify buying TWO Nintendo systems within months of each other and dropping (when you include games and all) what could exceed $700. I just can't bring myself to do it. I'd love a bigger 3DS as much as the next guy, and I love knowing that the devices I have are the best they could be, but I'm going to have to stick with my now-outdated launch 3DS because two systems is just too much to ask. so i read the title and ask myself Why Now? the answer was cause they felt like so. I am most certainly not getting a WiiU to get a 3DS XL. Big screen glasses free 3D. If the graphical fidelity remains in tact it's an instapurchase for the blue/black model. They've committed worse than launching a system before the energy was there. Assuming the screen size isn't a bust, XL will provide good stuff so it should sooner or later earn it's bread. I already know my brother held off buying a 3DS for XL because he knew it was coming. That clairvoyance had been fairly pervasive in gamimg culture since 3DS launched. However, XL's minimal upgrades is already creating a logic war between "Nintendo will release a ultimate version with extra bits" and "Nintendo really doesn't want to". My vote: Don't hold your breath for a true format shift. Through DS lite, DSi and DSi XL, all the upgrades either enhanced what already existed or revolved around new functions that had nothing to do with playing retail games. There MIGHT be a circle pad XL if Nintendo really feels the games developers want to make needs it (don't hold your breath there either). With any luck, it'll take a page from Nyko. For me, it's this or the Wii U, so I choose the Wii U. I already have a 3DS. I had just asked this question in "Ask James" not too long ago. I suppose I should delete it. To me, it just seems strange to have the Wii U and the 3DS XL be released within a few months difference due to the competition that will be between the two new consoles. It will sell fine, and as stated, it's probably pretty cheap to manufacture if it is indeed that similar on the inside. Most people that want it besides the obessesed fanboys like us will not have a grand scheme to save up for a WiiU, it's really almost an impulse purchase for the casual user (those with big hands/ older) so the proximity to WiiU is not a huge factor, I think. It's also worth considering though that it feels early because the first model really didn't kick off until months after it's true "Launch" due to all the obvious problems. I got it at launch, but it feels like I didn't touch it until months later when the e-shop came up and other updates, so this feels early to me even though it has been a while. It felt like the launch came unofficially about 4 months later so this feels rushed. I'm just getting comfortable with it, (getting used to the crappy glare on the screen and dumb hidden buttons) and now here's the better one that's a lot cheaper than I paid for mine (what was it 300, 250? jeez). Now I feel like throwing back at them. Economy? what about apple? the rest of the fancy devices haven't been hurting in sales in this economy, if it's that great no one will hesitate to buy it. It's just another size. It shouldn't affect sales save for all the people who wanted a bigger screen. And besides, who is telling you you have to get the bigger size at launch? Here's a hint. Save your money for the Wii U if you want it, then you can think about upgrading your 3DS. The XL is not a new system, you won't miss anything by not picking it up a launch. Those that feel pressured into doing so, STOP IT. The timing is good because I was just at the point where I was getting ready to give up and sell all my 3DS stuff because it was just too uncomfortable on my eyes while playing it. Now I will keep my games and also be playing the new Mario game!!! You're exactly right about wanting both a Wii U and a 3DS XL, but only being able to afford one of them. I've gone all out with my current 3DS, loading it with literally 50 games. Now I feel stunted due to the fact that I have a pile of money labelled "Wii U money" while my 3DS XL money pile is non-existent despite my overwhelming desire to upgrade. It's a tough choice. well i guess its ok to bring out the 3dsxl now. but i guess some people seen this coming a mile away. i guess ninty has become a lil predictable with their portable consoles. we al know that they will be more colors to come, that they will change around the hardware somehow. but if you wanna run out and buy that huge system then go right ahead. Bare in mind that Nintendo is not aiming to have a long life cycle with 3DS. It's a non HD handheld in the era of mobile HD gaming. They know the time is short here. Soon 3DS will be in another "Wii against 360,ps3" situation. Every mobile phone has HD touchscreen these days, every tablet pc too, not to mention Vita. Nintendo is aware of this. I bet they are already making projects of what their next handheld is going to be (my money is on HD-3D combo). 3DS XL is right on time. Another two years and we'll hear about "3DS 2". Wii U is also another case where Nintendo is not expecting to have a long life comparing with 720, PS4. They always aware of fast changing technology, and they always update when time is right and when technology gets cheaper. I think this is fine. It's being presented as an alternative to the original model, not a replacement. It's good to give people choices. I thought it was bad timing too, they could of released it when they made the price drop. I got the original 3DS on launch day last year, and I'll be getting the Red and Black 3DS XL on launch day this year. I can't wait. Well I'm not sure why Nintendo thinks NOW is the best time, but as summer vacation means other people are having fun, it's a very good time for ME to get one, as I need FUN. It'd be one thing if they were releasing a new product altogether, but now that the 3DS has been out in the market for a year and a half, a move to expand the user-base like this seems right on time. It's sounding like the larger screens are just as pleasing (if not more so) than the original screens, so I think I'm sold. 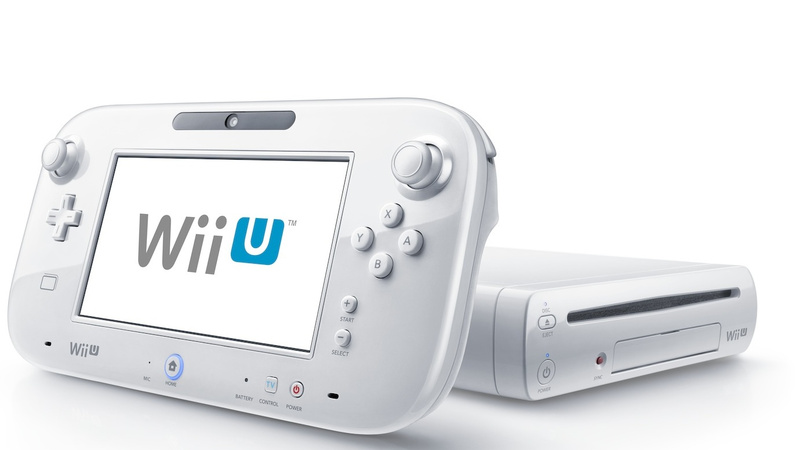 I think Nintendo had to go now instead of later due to the Wii U coming later this year. I believe that once consumers get their hands on a Wii U, many of them will feel that they've knocked two birds with one stone: having a console and portable system in one. Of course you're going to be limited to the household when playing Wii U games on the Game Pad, but when I stop and think, I really don't play the 3DS outside my home. I'll go as much as to say that I play 95% at home and 5% outside of home. I do carry my 3DS for pedometer and Street Pass purposes, but I'll just play a quick game of old school Tetris when I'm waiting in line and such. Plus, the bigger screen wouldn't impress much if released later due to the six inch screen of the Game Pad on the Wii U. So as the saying goes, better now then later. Perfect timing for newcomers to 3DS in general, bad timing for those that expected more out of the next 3DS iteration (even more battery life, 2nd circle pad, etc. ), bad timing for those that "just" bought a 3DS waiting for E3 to come and go, bad timing with the Wii U so close to arriving that not enough of us (like myself) have spare cash to pony up for both investments. Long story short, combined with what was said already in the article, Nintendo must not be looking to make a killing with this iteration of 3DS as long as they sell "some kind" of 3DS period... now, when a truly revamped 3DS comes out, then Nintendo will likely look for big profits, but that won't be well after the Wii U is in full swing. Basically the release of the 3DS XL screws with us consumers, but I don't think Nintendo really cares about it bombing in profits imo. The only way I will get the 3DS XL is if Nintendo will release a limited edition Gold 3DS XL for the release of New Super Mario Bros. 2. OR a Luigi's Mansion 3DS XL. I honestly cannot wait to pick up my new system. Some people are making far too big a deal of this imo. Jeez Phones , TV's , Washing machines etc etc are constantly being superceded by new sizes ,more power ,what have you, and I don't see any fuss made of it. It's all part of the technology development process. If you waited for the best/biggest version of any technology you would never buy anything. Do like it? ,buy it. Like it but can't afford it? Well that's what credit cards are for. If they come out with a purple 3DS XL I'm sold. But for now I'm clinging to my Zelda one. Some of you guys have been on the 3DS ride, but I haven't, so there has been very little interesting from Nintendo in the Wii realm and I don't mind throwing some piles of cash at Nintendo in the second half of the year now that there will be a way to play those 3DS games that I can get into and, of course, a brand new console. In some strange way, I kinda see this as rather bad timing with Wii U's release due by the holidays because just think types of Wii U versions of 3DS apps could be in mind, let alone the possible demand for them, minus the, 3D of course. I realize these platforms aren't competitors rather than than cooperating under the same roof; Nintendo. Sure the Wii U will offer much more diversity in terms of gameplay design, but has anyone ever stopped to think how it could affect the 3DS line itself? I mean, could the 3DS, let alone the 3DS XL, really take the heat while Wii U steals the spotlight? Assuming there's a possibility of similar changes, how many people would continue use of their 3DS/XL knowing you could play similar titles/apps on a larger device? Consider the similarities; Both have a stylus, similar button layout with the exception of dual analogs and triggers on the back, the Legend of Zelda demo demonstraing not just gameplay on the gamepad, but dual screen play with a map on the gamepad and action on TV.... I'm not necesserily saying the possibilities are definite or confirmed in any way, it's just something to consider. It seems like a bit of a slap in the face to people who bought the regular 3DS, just on principle alone. The first 3DS buyers paid up the wazoo for the system. Then Nintendo dropped the price big-time. That's slap number one. Now there's already a new iteration of the system. Slap #2. Eventually there'll probably be an iteration of the 3DS that features a second control pad, so that's a potential slap #3. Nintendo does that with its handheld systems, and even products like the Wii Remote (planning for the eventual Wii Motion Plus attachment, and later releasing a version with WMP built-in, when it should have been so at Wii launch). I could be wrong, but I think Nintendo actually banks on serious gamers buying multiple versions of the same product, whether it's controllers, games with new play control, or even entire systems. It's a shady way of doing things, and I feel like Nintendo never seems to give the customers all of what they've paid for or been promised. Nintendo seems to have a corporate strategy of holding things back until later, and that's just insulting. I think the timing is right. It gives non-gamers plenty of time to know about it before Holiday season . For me it's all in whether the experience is worth the cost of upgrading. I like the idea of a more comfortable grip, IF the heavier weight of the system doens't make it less comfortable instead. I like the idea of bigger screens, IF the larger screens don't further exacerbate the "3D sweet spot" issue of the original system. Both of these will have to wait until I can get the system into my hands, so I can't say one way or another whether I'll get one right now. I will say that I can scrape $200 together now and still get the Wii U when it launches. The Wii U is not optional — I WILL be adding that to my collection as close to launch as possible. I also hope that Nintendo will fully explore the Wii U - 3DS link options this time around, rather than ignoring the option completely the way they did with the Wii and DS. A 3DS XL makes so much more sense when you consider it could be used as a replacement for an extra Wii U controller in multiplayer games. The 3DS XL won't fit in my pockets. I guess I better go buy some cargo pants. From what I heard from the first impressions of the LL, the viewing angle (and as a result the 3D effect) is much better on it than the original 3DS. My guess is this version was not just put out to appeal to the XL market but also to anyone who wants better 3D on their system. The shape and size may also make the system a more effective secondary controller when the Wii U comes out. I kind of want it. The bigger screen is appealing to me. The timing for me is perfect, and I would totally buy a 3DS XL as soon as possible if it weren't for my inability to make a decision on whether I want to buy a Japanese 3DS and not have to import my games (convenient), or buy an American one and play games in my native language (lazy). Life is hard. @ nintendoro you're kidding right? I have the best smartphone in the market and 3ds games still look better. Something I guess about the technology not to mention the 3d effect. This can go on for many many years. There is zero need for any graphical update. I can't imagine any portable games looking better than revelations or kid Icarus. And they're still selling DS games like Pokemon in the millions so graphics really are meaningless. Well I was getting close to grabbing a PSVita. Now I'm thinking I'll grab an XL instead. I think it's perfectly timed, I've been wanting a bigger-screened 3DS for a while now & Nintendo heard my call . Heck its release is relatively close to my b'day too. Thanks Nintendo! ! Initially I didn't love the look and form-factor of the new XL (based on screens alone, obviously I haven't held it). But in seeing the video it looks like it might be quite comfortable. I just want to be able to carry it in my pocket and I don't want to drop another $200 for it. Still paying off my regular 3DS... I definitely want this and appreciate its existence, though. My friend wasn't ready to replace his DSi XL with a 3DS due to the screens being too small for his eyesight, but after telling him about the 3DS XL he's ready to get his 3D game on! The first game he wants to get is Kid Icarus: Uprising, which means plenty more online action for yours truly! I never had any DS versions so I never got to learn my lesson of waiting for a bigger screen. Maybe I'll get it eventually if I can sell the regular one, but still can't figure out why they never put a second thumb on either model, especially when the wiiU will... You could use it as a second controller! i was pissed off a bit. i got my black 3DS 2 weeks before 3DS XL was announced. I had to sell it soon after i heard the news, in order to get as much as I could while those who want 3DS original still haven't heared about new version. Now all I need is to wait for my silver 3DS XL. Wii U is another gadget that is going to strike my wallet too. Can't f..ing wait for either of them !!!!!!!!!!!!! C'mon Nintendo, stop my suffering!!! Here's a cool hand-on video for the 3DS XL! Pardon me, the site is in Finnish, but the video is in English. The obvious reason is for Brain Training. A larger screen will appeal to the older generation who will buy this game. I already said that Nintendoo releases new versions of hardware every 2 years (though this one has been adjusted a bit). If i get the 3dsXL will i be able to transfer my friends on my friend list from my origenal 3ds to the friends list on the 3dsXL can somebody please tell me. @LordOtakWiiU Thanks and one more question do you know any good ways to earn money? @NintendoLee The obvious reason is for Brain Training. A larger screen will appeal to the older generation who will buy this game. aaurrghhhh! stop it. just stop it. So, what colors are going to be available? Just red and blue? Those colors look slightly drab to me, I would much rather have the basic silver design that is showed above. Are they ever going to release that color in the U.S.?